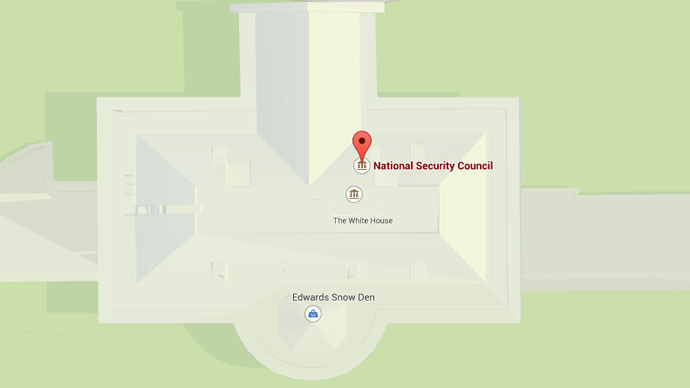 A shop called Edwards Snow Den, offering “a great source of classified information,” has appeared on Google’s map of the White House, after pranksters exploited a security weakness of its listings service. The shop, which appears to be lacking an apostrophe in its name, became visible as a Google-verified listing, supplied with its own (exclusively 5-star) reviews, one boasting that it offered ‘top notch info on the cheap.’ Unfortunately, despite a stated daily opening time of 5am to 11pm, nobody could be reached on the phone number provided by the prestigiously-located store, as discovered by Marketing Land, the first online portal to spot the listing. After the story was picked up by a host of tech websites, Google intervened and removed the verified status from the listing, which was deviously masquerading as a snowboarding shop. It can still be seen on the map, but the reviews are no longer available. 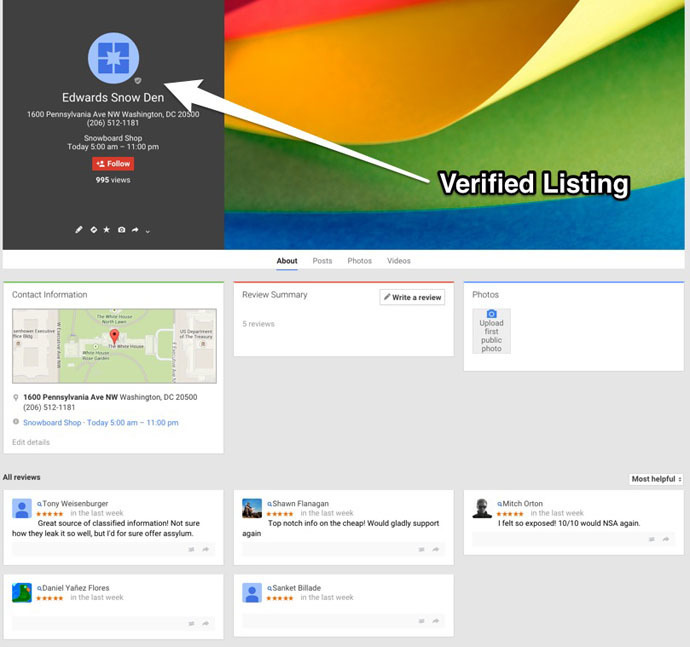 The California tech giant explained to Marketing Land that such fake listings could be created when a real registered business updates its address following verification, and admitted that the system is open to abuse. Currently, the White House also appears to be home to ‘cCROSS’, ostensibly a Japanese law firm, though Google has blocked all details of the company, presumably to discourage a potentially-chaotic form of guerilla advertising. Edwards Snow Den is not the only tribute to the whistleblower, who leaked thousands of documents giving insight into the total technological surveillance practiced by his erstwhile employer, the National Security Agency. A bust of Snowden, who faces federal charges for leaking classified data, was erected in a Brooklyn park earlier this month, only to be removed hours later. The real Snowden, of course, remains marooned in a secret location in Russia, although he has been communicating with the world by means of video link, including a star turn on John Oliver’s current affairs show last week. This week, RT presented Terminal F, a documentary named after the segment of Moscow’s Sheremetyevo airport, where Snowden, who has been nominated for the Nobel Peace Prize, ended up in June 2013. 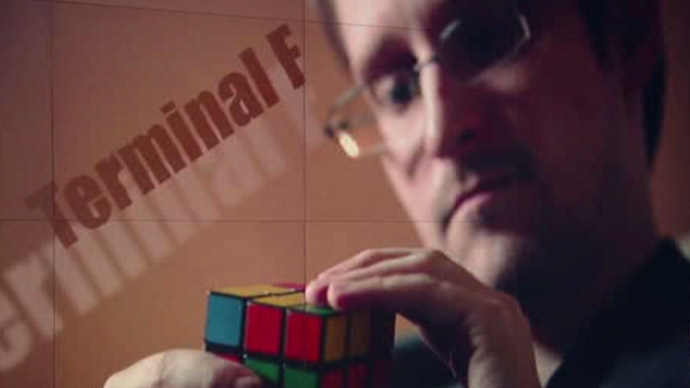 The film gives Snowden’s perspective over the weeks leading up to the leaks, and his eventual escape, as he sought a place of refuge once he became one of the most wanted men worldwide.